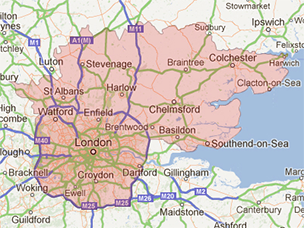 D R Bull Plumbing & Heating was established in Walthamstow over 40 yrs. ago by my father David Richard Bull whom the trade name was Based on, he retired in the last couple of years after 50 yrs. on the tools. He started the business at a time when there was only one main gas company and could see that there was a better way of offering a reliable trustworthy and personal service in the domestic home owner market. I am now honoured to carry on the name of D R Bull Plumbing & Heating and keep to those core beliefs reliability trustworthy and personal that my father instilled in me all those years ago. It has also been a big part of my values to show respect to the customer and their property, meeting any exacting needs and putting down floor and surface protection and treating the customer their home and its furnishings with the respect and care they deserve. For large jobs such as boiler kitchen and bathroom replacements I offer a free visit and written estimates, all estimates are guaranteed for the next 30 Days. We’re City and Guilds trained, and Gas Safe registered gas engineers with over 25 years experience in the trade and specialising in the higher quality and reliability of Vaillant as our preferred boiler of choice.